Bradwell Mothers Club Coach outing. 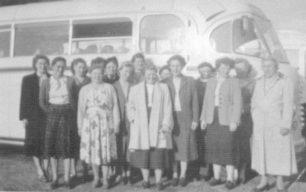 Bradwell Mothers Club_017. Coach outing. 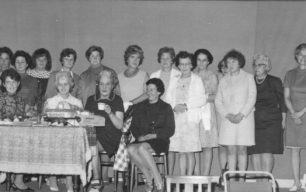 Photo of Bradwell Mothers Club members: four sitting at a table and the other members standing in a row behind them. 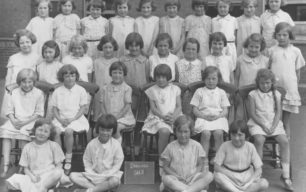 Bradwell School Std II group of Girls – Joyce West back row 5th from left. 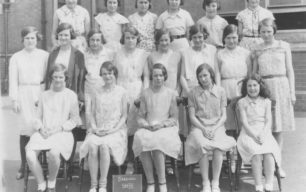 Bradwell School Std VII group of girls. 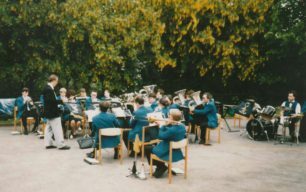 Bradwell Silver Band - their President Dr Marjorie Fildes makes a presentation. 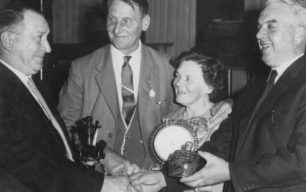 Bradwell Silver Band – their President Dr Marjorie Fildes makes a presentation to Chris Bissell watched by Harold Walters and Ron Smart. 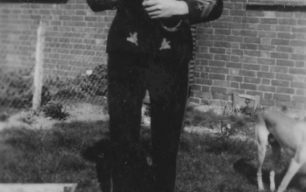 Published in ‘A Century of Life in New Bradwell’, by Sylvia Mead, p108. 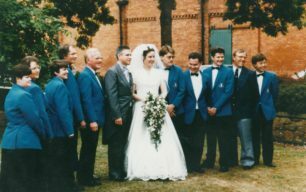 Bradwell Silver Band at Gwyndon & Sharon Reeve's Wedding. 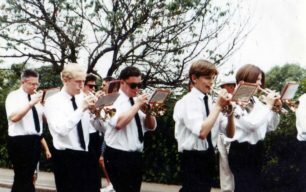 Bradwell Silver Band at Gwyndon & Sharon Reeve’s Wedding. Colour photograph. Bradwell Silver Band leading New Bradwell School Annual Carnival Parade. Bradwell Silver Band leading New Bradwell School Annual Carnival Parade. Colour photograph. 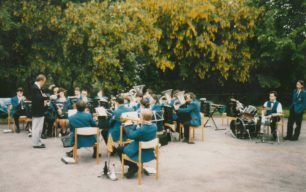 Bradwell Silver Band playing at 'The Green' Newport Pagnell. 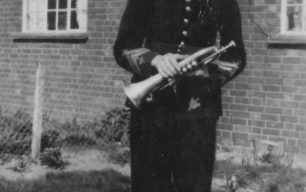 Bradwell Silver Band playing at ‘The Green’ Newport Pagnell. Colour photograph. Bradwell Silver Band playing at May Day at the Mill. 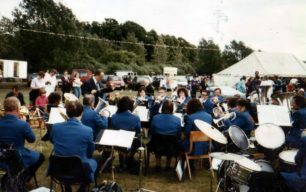 Bradwell Silver Band playing at May Day at the Mill. Colour photograph.